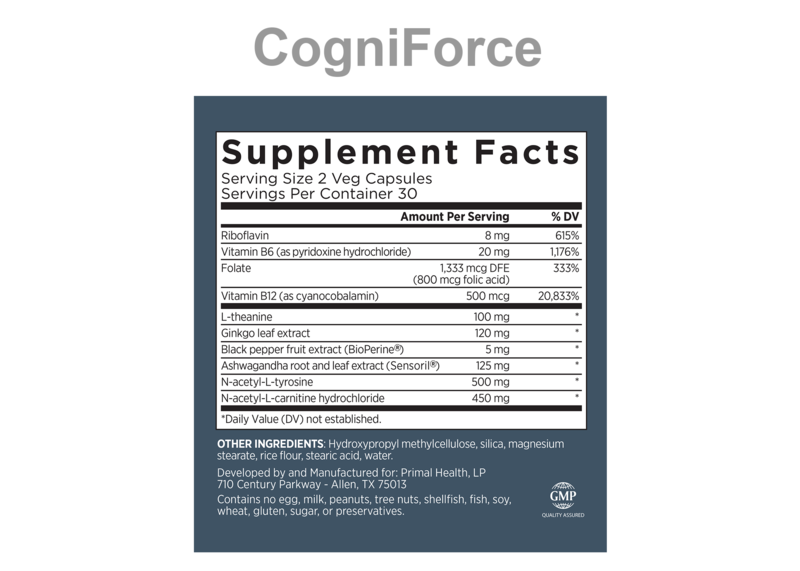 CogniForce provides the key nutrients for cognitive function and brain health maintenance. A standardized root extract known as KSM-66, and L-theanine work to reduce stress hormones and promote more clear and relaxed thinking. BioMeric Advanced combines two traditional botanical extracts in enhanced forms for maximum bioavailability. First, Longvida turmeric extract delivers 95 times more free curcumin, thus ensuring optimal absorption in tissues throughout the body. Next, i-Sabi, delivering the potent active compound 6-HITC, which has been shown in preliminary studies to support liver health, detoxification, enhanced brain neurite growth, and immune health. 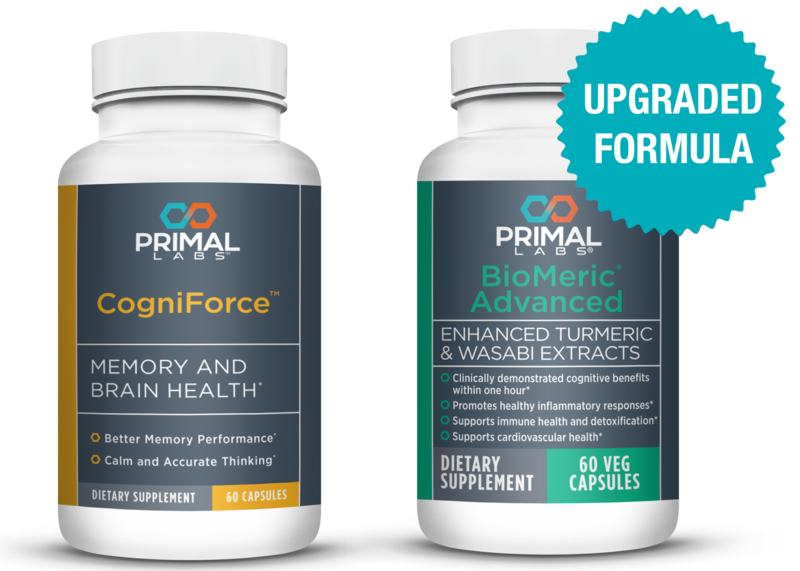 Biomeric Advanced™ Improves brain function in 1 hour! 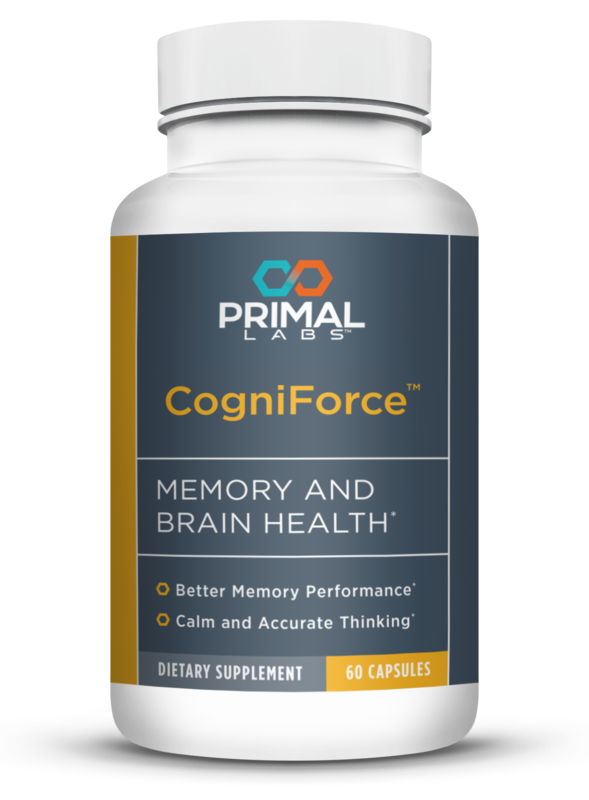 Want better mental focus and memory recall? Look no farther than Biomeric Advanced™, our exciting breakthrough in the bio-delivery of brain-boosting curcumin. Recent research has confirmed that turmeric root extract, a widely-used spice in Indian and Asian cooking, is one of the most potent nutrients for brain and body health. In fact, in India, where turmeric is prominent in the diet, age-related cognitive decline is rare. Inside the plant's roots are unique antioxidant compounds called curcuminoids, which studies have shown improve blood flow, support healthy arterial linings, fight oxidative stress, and promote normal inflammatory responses -- all of which support your brain, heart, joints, and skin as you age, while also promoting energy. The problem up to now has been getting enough curcumin into the blood stream to get results, as this nutrient is very poorly absorbed. 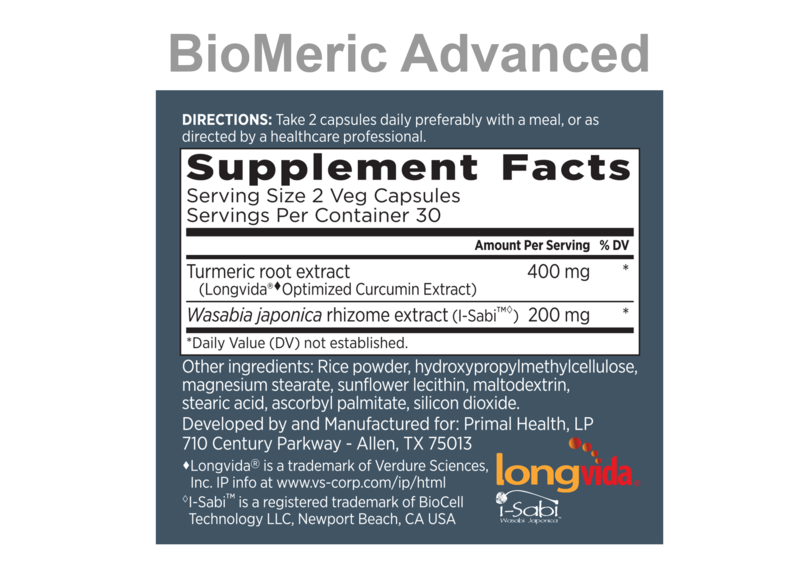 Now, Biomeric Advanced™ solves that problem with the patented Longvida Solid Lipid Curcumin Particle™ technology , which makes free curcumin 67 to 285 times more bioavailable than standardized 95% curcumin, while also safely crossing the blood-brain barrier. You're going to feel the difference — and FAST! In a university study, 400 mg of Longvida optimized curcumin showed improvements in focus and memory recall among healthy older participants starting in just one hour. And over a 30-day period, participants enjoyed improvements in calmness, mood, and energy. And there's more to this great formula! 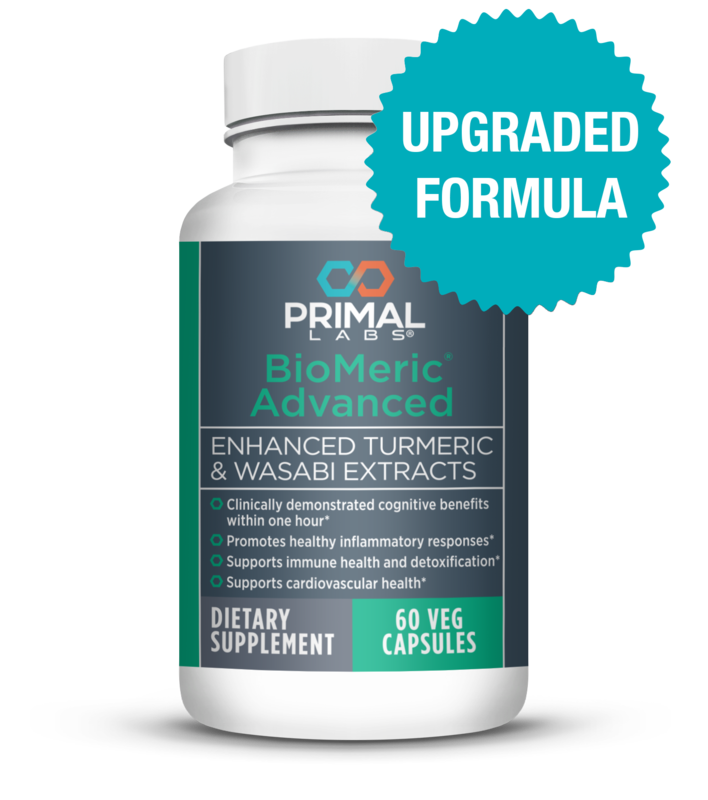 Biomeric Advanced™ also contains 200 mg of i-Sabi, derived from the wasabia japonica plant. This neutraceutical stimulates the Nrf-2 protein, known as the body's master switch for cellular protection and repair. I-Sabi promotes brain neurite growth, antioxidant activity, and the activation of natural killer cells for healthy immune responses. With Biomeric Advanced™ you get both Optimized Curcumin and i-Sabi, the one-two punch for boosting brain power, protecting heart health, and enhancing youthful vigor. Try it risk-free today!